In our experience, continued, and persistent use of high quality Maca root promotes improvement in the hormonal, physical and emotional states of regular people every day. That said, we’ve also noticed a significant amount of misleading or hyperbolic information out there in regard to the benefits of taking Maca. That’s why we’ve put together this collection of articles that deal with the health benefits of Maca. We provide scientific documentation and examples from our experience about what maca powder is good for whenever possible. Where available, click on the links for additional details and to read the full article. Incan warriors are said to have consumed Maca before battle to increase their prowess. More recent studies have shown that Maca improves stamina in distance racing and helps to build muscle. We also have several customers who are professional and high level amateur athletes. They rave about how Maca supports their optimal performance. Read more about Maca and muscle building. Traditionally, Maca has been regarded as a potent aphrodisiac among the native Peruvian population. More recently Maca has been very successful in increasing the libido of both men and women. 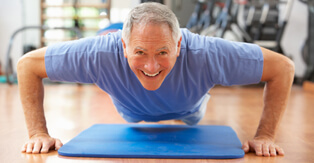 One study also has shown that Maca can help men overcome erectile dysfunction. We recommend Black Maca for men and Red Maca for women to increase sexual desire and help with sexual dysfunction. Maca contains a variety of amino acids, which are the building blocks of hormones. Research has shown that taking Maca regularly can balance hormones within both men and women. Maca does not contain hormones, but the building blocks from which the body can create them. Because hormones affect various aspects of health, having a balanced and healthy endocrine system can lead to numerous perceived benefits. One of the most interesting traditional uses for Maca is that it was mixed in special teas during dance ceremonies to help energize and relax participants. Recent studies have also shown that Maca’s positive effects associated with mood lead to a reduction in self perceived anxiety and stress. That makes Maca very unique, in the sense that it boosts energy and relaxation without causing any sort of stress. Due to Maca’s energizing and uplifting effects, it also supports mental clarity as well as the ability to focus. Whenever we have extra work to do around our office or warehouse, we take extra Maca to help keep us on task and thinking straight. We prefer either Red Maca or Black Maca for this purpose. Experimental studies have shown that the Black variety of Maca has beneficial effects on learning and memory in experimental animal models. Black Maca improved learning and memory more than the other colors of Maca. Maca root is safe for both children and adults and is a great supplement to any student’s diet. One of the most interesting properties of Maca is that it has been seen to improve blood circulation, thereby reducing anemia and improving wound healing time. People on blood pressure medication should monitor themselves carefully when starting to take Maca and consult with a medical professional as their blood pressure may decrease from taking it. Not a lot of research has been conducted on this yet, but traditionally Maca has been used to stimulate the growth of hair as well as to prevent hair loss. One common report we receive from our customers is that their skin tone improves when taking Maca root regularly. This is most likely due to the strong nutrient content and hormone balancing effects of Maca. All Maca colors have been associated with improving bone density. This is due to relatively high levels of bio available calcium. Black Maca in particular was found to increase bone density and strength in tests conducted in 2009. A recent study done on ovariectomized mice found that Maca improved both osteoporosis and osteoarthritis conditions. Read more on Maca for women…. Read more on Maca for men…. We hope you've enjoyed this page. If you have any further questions on the benefits of maca root powder or any of our products please let us know. We're happy to help.